You have finally made the decision to sell your Minnetonka home so now it’s time to look at this sale as a business endeavor. Your property is now an asset and every seller wants their home asset to sell fast and for top dollar. This involves careful planning and team work between you and your real estate agent along with abiding to the following 10 steps to help dress up your home to attract home buyers. Step 1: Target a Date to Hit The Market and Work Back From That Date. 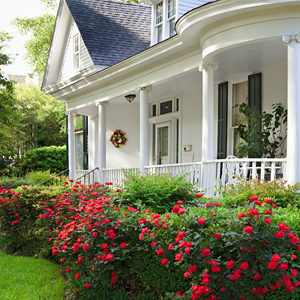 Give yourself adequate time to dress up your home for the sale. Targeting a date to sell your home in the Spring or Summer both have different advantages. Shooting for the Fall or Winter season may also make sense however there are some distinct disadvantages associated with selling a home with 3 feet of snow on the ground. Historically, the slowest time for Minnetonka real estate activity is from just before the Thanksgiving Holiday through the 1st week of the new year. Things heat up right after the Super Bowl and go on from there. Talk to your real estate agent about this and see what makes sense for your situation. Step 2: Find a Good Minnetonka Realtor. This step is most important as your Realtor will be representing you in your best interest and guiding you through all aspects of the sale of your property, from setting the correct asking price through the successful closing of the sale of your home. Find a Realtor that is familiar with your neighborhood. Find a Realtor that embraces technology as they will have the best tools and latest technology available to market your home to the largest number of potential buyers on a variety of different platforms. Ask each Realtor about their experience and to provide you with references. Ask them how they plan to market your home and their suggestions on what needs to be done to the property to achieve your goals. Do they use professional photography, or just shoot a few low quality photos with their phone camera? The Realtor that you choose should also provide you with a Comprehensive Market Analysis (CMA) that compares your Minnetonka home to similar homes that are currently for sale, pending a sale, expired and have sold in the last year or so. Their Market Analysis will give you an estimated selling price for your property compared to other “like and similar” properties that have sold in your neighborhood. Step 3: Disassociate Yourself with Your Home and Depersonalize the Space. How you live in a home and how you sell a home are two vastly different things. Let go of your emotions and look at your home through the eyes of a buyer. The more personal stuff you have cluttering your home, the less a buyer can imagine living there. Although that painting of your great grandfather Earle above the fireplace brings back warm memories to you, it definitely will not to a buyer. In fact, if you plan to use a photo of the fireplace in the marketing your home, it may deter buyers from even coming to view your home in person. Besides Earle, you will need to minimize your wall art and photos, remove bulletin boards, sporting trophies, animal mounts, awards, religious items. For example, you will only need a few key pieces to stage your home as clear wall space makes your rooms look larger and allows the buyer to picture their art in that space. All the clutter has to go. Overflowing closets should be trimmed down to the bare essentials. Counter tops, Book shelves and Table tops should be clear of most knick-knacks and the refrigerator magnets definitely have to go… Think Purge. Step 4: Curb Appeal is Very Important. You have heard the old adage that says “You never have a 2nd chance to make a 1st impression” Well, it’s true in marketing Minnetonka real estate as besides your address and asking price, one of the very first things potential buyers see in the MLS listing is a photo of the front of your home. They will then judge whether to click on your listing to view the interior photos of your home or if they don’t like what they see, just move on to the next listing. A fresh coat of exterior paint, painting the front door a fun color, adding window shutters, possibly a flower box or two, updated exterior lights, freshly cut, weeded & fertilized grass, trim/prune bushes and trees, clean gutters, add color with new landscaping bark, flowers and possibly a hanging plant or potted flower on the front stoop, sweep sidewalks and adding a welcoming door mat are just a few of the items that can make a huge impact with your curb appeal. Step 5: A Buyers 1st Impression is the Only Impression. Ok, so now that you have spruced up the front of your home, the next step is to put yourself into the potential buyers place when they first walk in the front door of your home. Do you like what you see? This is the time when the buyers either feel that your home is a definite possibility or they get turned off by any number of items like a dirty home, faded paint/vintage wallpaper, construction flaws, bad smells (yes, smell is a very important sense to buyers) worn carpet/floors, too much furniture and/or dated furniture, dated light fixtures and/or draperies, etc. A fresh coat of paint and staging your home with a few key pieces of your furniture will make your rooms look larger and go a long way to make that key first impression in the buyers mind. Step 6: Accentuate the Positive Attributes of your Home. Review your house room by room, be critical and make a list of items that need attention. Walk through the home with your agent and ask for their opinion of your listed items. Besides the view from the front door, the next most important room is the kitchen, so you will want to spend ample time assessing that space. Have your appliances seen a better day? What about the counter tops? If the cabinets are in good shape you may be able to add new door and drawer pulls to update the look or if they are in rough shape a coat of enamel paint may bring them back to life. A new kitchen faucet also adds a bit of pizazz along with new light fixtures. Moving on to the rest of the house, you should paint any room that needs paint. Paint walls neutral colors and ceilings bright flat white. Repair broken items, remove excess furniture, make minor repairs, update lighting, steam clean/replace carpeting and refinish or polish hardwood floors. Step 7: Deep Clean including all Windows. Your house will need to be ready to show at all times so an initial deep clean along with ongoing cleaning will be necessary. Calling in the professionals (Zerorez, Stanley Steamer, Cleaning/Maid services, etc.) may be the best way to go. Ask your Realtor for suggestions on who they have used in the past. Clean windows will bring the outdoors in and will also allow in more light, which make your rooms appear larger. Step 8: Put Your Home in the Best Light Possible. Maximizing the lighting in your home (even during daytime showings) can make your home feel more comfortable and cheery to potential buyers. We have already discussed taking down the drapes, cleaning the windows and trimming the bushes to let in as much natural sunlight in as possible, however not all showings are during the day. You will want to maximize the wattage of the light bulbs in each light fixture with instant-on warm LED lighting or incandescent bulbs in all areas of your home. Warm LED lights are rated at about 2700 Kelvins which is equivalent to a soft incandescent light bulb. Cool LED’s are rated 5000 Kelvins and cast a stark white cold and feel much like commercial lighting. Step 9: Getting Ready for Your First Showing or Open House. If its nice outside open a few windows to air out the home. If its noisy, close them right before the showing. Pull back the curtains to let as much light in as possible. Clean up all clutter, toys, magazines, etc. Turn off the television and turn on some easy listening music (without commercials) to low. Make the beds and place as much of the clutter under the beds, not in the closets. Wipe the counter tops and dust the horizontal surfaces. Flush and close all toilets and wipe dry all sinks. Clean up the yard of clutter and place the garbage cans in the garage. Leave the premises 15 minutes before the showing and take the kids and pets with you. Step 10: Trust the Guidance of your Realtor. From the time you sign the listing contract until the date the sale of your home closes, you need to trust the guidance of your Realtor. You have hired them for their expertise in selling your property and they will guide you through everything related to the sale. When your agent presents you with their Comparative Market Analysis, they will give you a price range of what your home is currently worth in its present condition and what it will be worth after you detail it. From day one, you will be working as a team with the common goal of selling your Minnetonka home with as few showings as possible and multiple offers on the table! "We actually found Tom through Zillow while house shopping. He was available whenever we needed him, offered great advice, sure knows his houses and what... continued"
Minnetonka Realty has been proudly serving the Minnetonka Real Estate market for more than 27 years with Tom Nicklow serving as the Broker/Owner over the past 9. Tom incorporates his 30+ years of full time real estate sales experience along with his unique tech savvy marketing approach into a Win-Win situation for all of his clients. If you have an interest in Buying or Selling Minnetonka Real Estate, put Tom’s experience to work for you!